Words by Fiona Symington-Mitchell. Photos courtesy of Autumn Yard Meat. 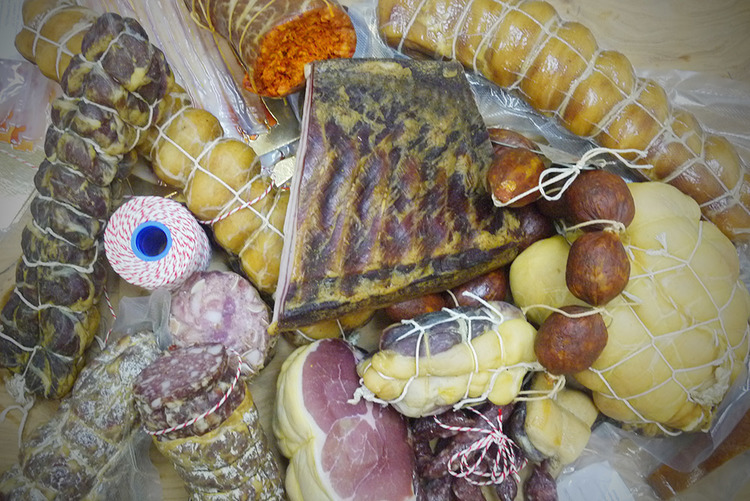 Using rare and heritage breeds, his products range from nduja (a spreadable salami ideal for adding to pasta, stews and pizza) to the pate-like braun made from the muscles of the head (cheek, tongue, and ears) that is hung to dry for a month before being cooked for several hours. 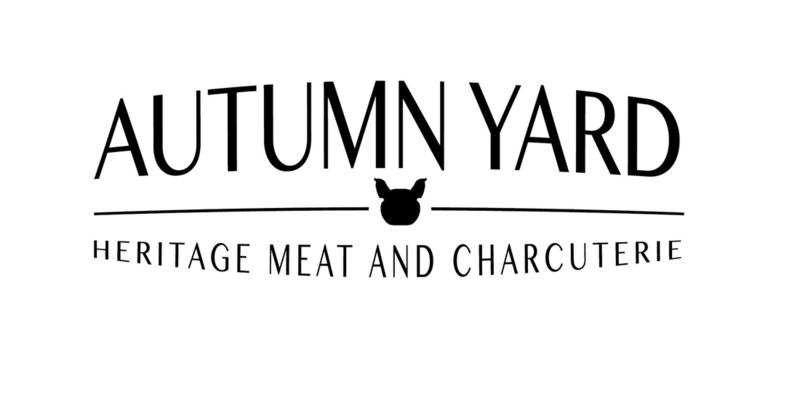 He’s recently added a black treacle and coriander smoked bacon to his line-up and plans to rebrand to Autumn Yard Meat. 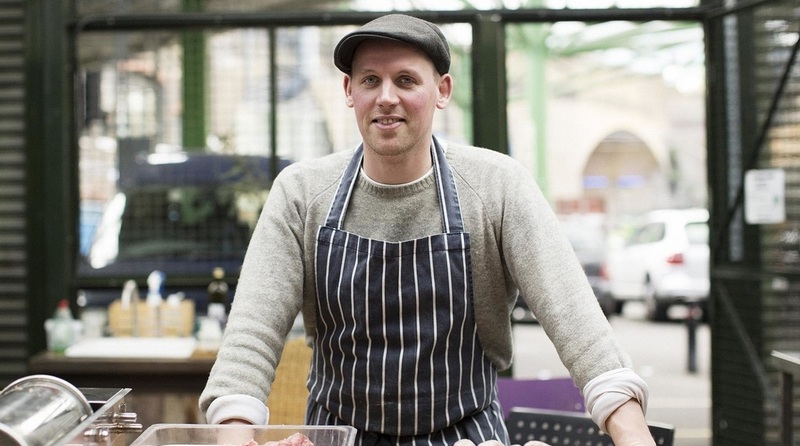 While most of his business is wholesale, Hugo regularly attends Alexandra Palace Farmers Market and his meats are also sold at de Beauvoir Deli and E5 Bakehouse. He plans to sell online this year. 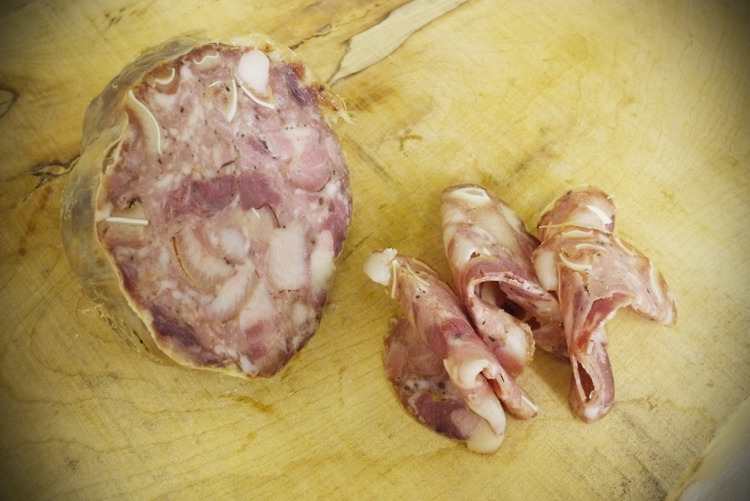 You can also catch Hugo at the Cannon & Cannon Meat School where he regularly teaches. The number of charcutiers in the UK has increased from 20 to around 80 in the last two years. 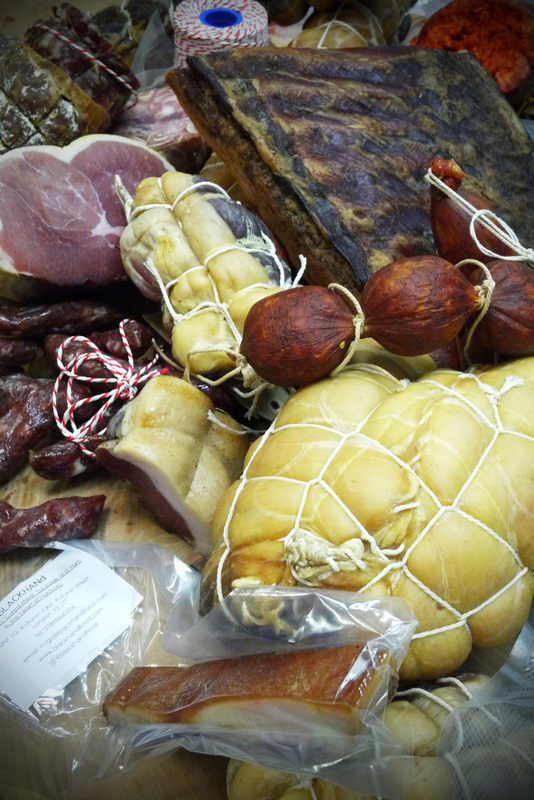 So the industry is clearly growing but it would be nice to have some more promotion about our charcuterie and how good it really is. I always have a loaf of E5 Bakehouse bread on the go. Wildes Cheese: we are both at the same market at Ally Pally. Sara of Nyborg's Kitchen does a fantastic rye bread - the best that I have ever tasted and a banana chocolate bread that I can’t stop buying because it is so good. And finally, Nick of Vadasz Deli because he is a pickle bad-arse. Keith Floyd: I remember watching him in my early twenties and thinking this is the guy who really knows how to live. You watch him now and it’s clear he wasn’t a great cook but I though that’s the kind of guy that I want to be. Gourmet San: it’s a Chinese Szechuan restaurant on Bethan Green Road. Order something wacky and what you’ll get something that will be out of this world. It’s a leap of faith but it is worth it. Lyle's restaurant in Shoreditch is very good as is Taberna do Mercado for Portuguese tapas in Smithfield.